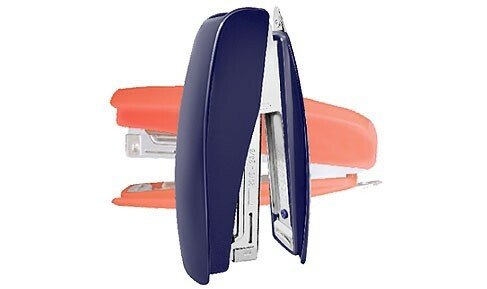 2-way Standy stapler ,can be stored vertically on the desktop. Stapler opens for tracking ability to attach papers to bulletin boards and more. Indicate maximum insertion paper depth. The base length of depth is 64mm and breadth is 118mm.